This year I have met the Canadian Embassador to Norway David Sproule three times already: our first informal meeting was in the Arctic Capital Tromsø during the conference «Arctic Froniters». Later I have met him by coincidence in both Oslo and Trondheim. He is an attentive and knowledgeable ambassador with special interest in the High North and the Arctic. 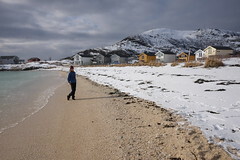 Sproule is impressed by Tromsø and the role Tromsø has taken in the High North. He sees the city as a model for Canada’s near-arctic city of Saint John’s, Newfoundland. Last week I had a meeting at the Embassy about these and other issues. Canada helds the chairmanship of the Arctic Council 2013-15. The role is personified through Canada’s minister to the Arctic Council Leona Aglukkaq. She in an Inuk from Nunavut and has long experience from the national political level in Canada. Her appointment underlines the priority that the Government of Canada places on the Arctic as well as its commitment to ensure thet the region’s future is in the hands of the Northerners. Canada is eager to strengthen the Arctic Council. The aim is to enhance the capacity of the permanent participant organizations to improve the Council’s coordination and to maximize efficiencies. Arctic business development is lifted high up on the agenda and the Council work with several initiatives to strengthen this part of the international collaboration. The Arctic is home to four million people. There are forecasts of investments of $ 10 bn per year in the region. This will have major consequences for all communities affected. Therefore, it is important to focus on the Arctic residents and their participation in the development. The development must strengthen communities and make them sustainable. Ramboll is an active participant in this process. 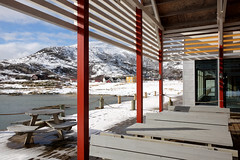 We facilitate industrial development in the Arctic so that it provide benefits to local communities. In June 2014 we will held a broad round table meeting in Reykjavik on this theme. Participants at the meeting are business leaders and politicians from the circumpolar Arctic. I am pleased to lead this meeting and these processes for Ramboll as the company’s Arctic Director. 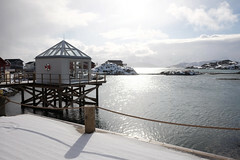 My office is in Tromsø, a good location for meeting key Arctic players and stakeholders.